The Tournament of Power SR Card Showdown! 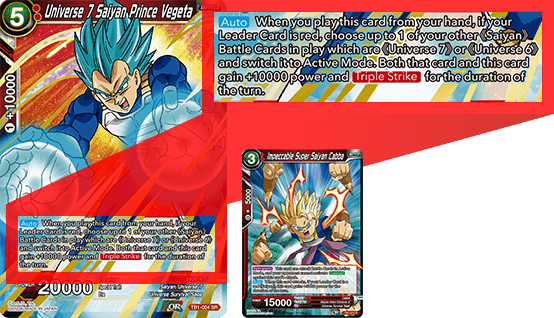 A powerful supporter, Vegeta bolsters your Universe 6 and Universe 7 cards! He also works great with the red TB1-010 Cabba! See the future and put the brakes on your opponent’s strategy! And at 4 energy, he’s easy to get out early! 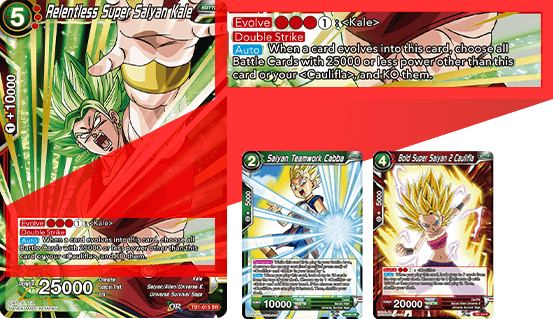 Kale relentlessly obliterates your opponent’s board! Play her with P-041 Cabba and TB1-012 Caulifla to rush towards the endgame! 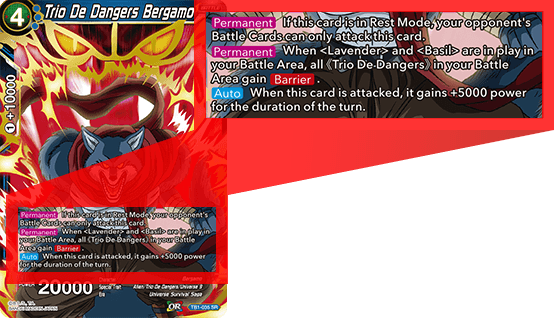 Beerus lives up to his name as a god of destruction, changing the state of the game in an instant! 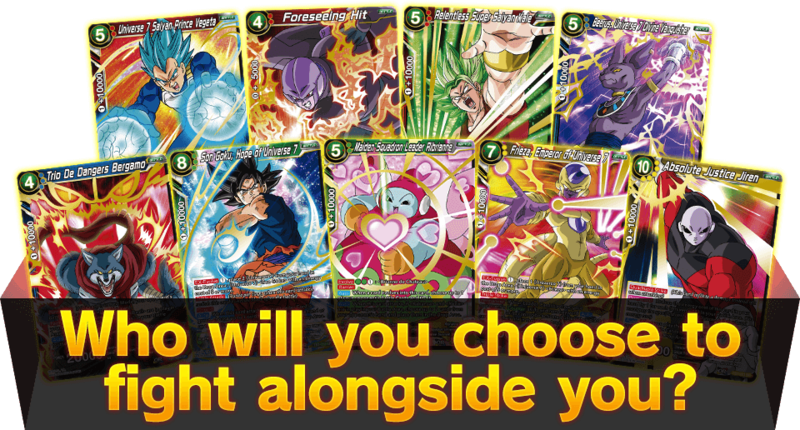 If you want a great card for your Universe 7 deck, look no further! 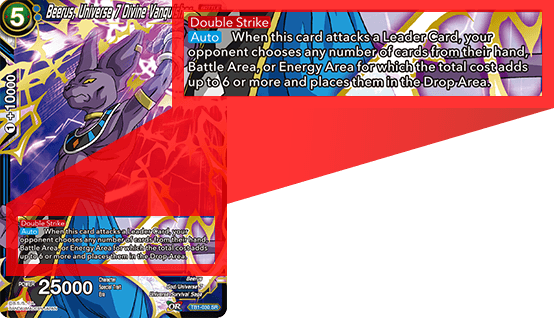 A powerful defensive card that prevents your opponent from attacking your leader, and gets a +5000 power boost when attacked! Stabilize your position, then assemble the Trio De Dangers and attack! 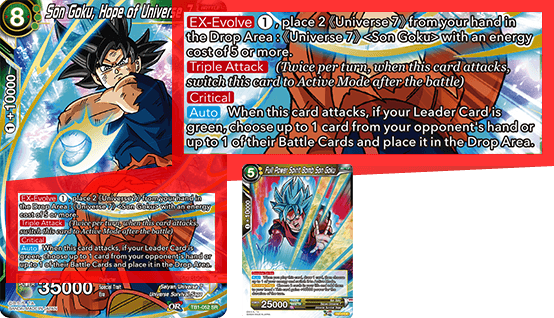 Since the Goku leader allows you to ignore colored costs on Universe 7 cards, you can create an unstoppable combo with the TB1-075 Goku’s EX-Evolve! 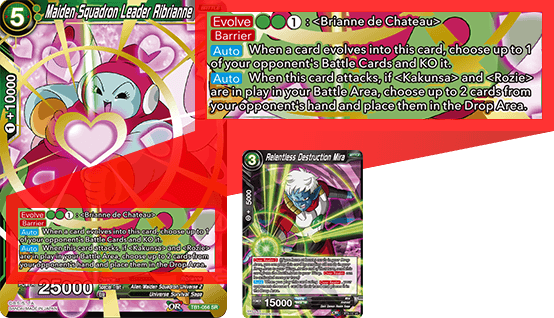 We introduced this card during the green showcase, but Ribrianne is so good at wiping out your opponent’s hand, we felt she deserved a repeat appearance! 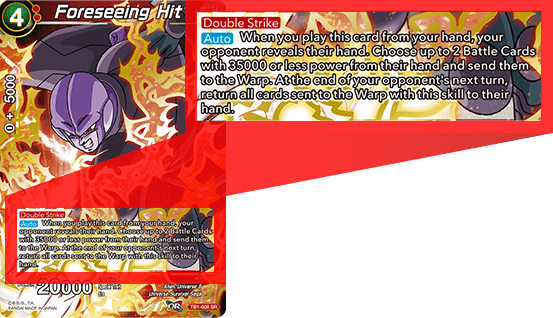 Combine her with other hand destruction cards and ruin your opponent’s day! 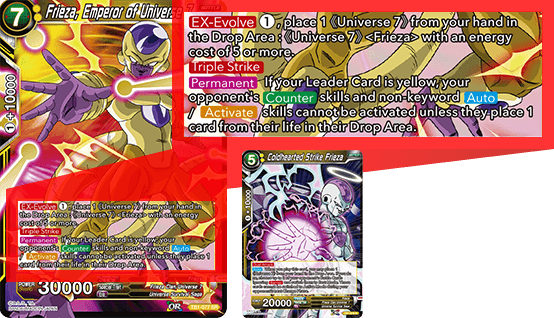 The Emperor of Universe 7 makes a great pair with the yellow Frieza leader card! Evolve into him off TB 1-078, and whittle your opponent’s life down with every skill activation! Jiren’s skills are absolutely staggering! 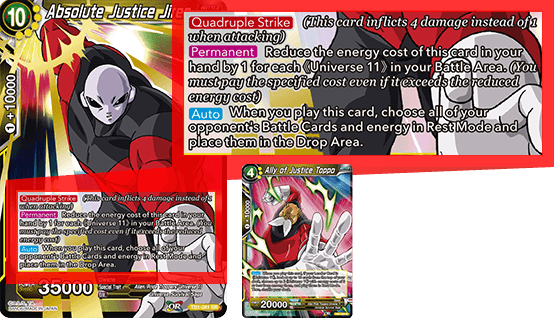 Run TB1-080 Toppo and other Universe 11 cards to get Jiren into play and solidify your offense!